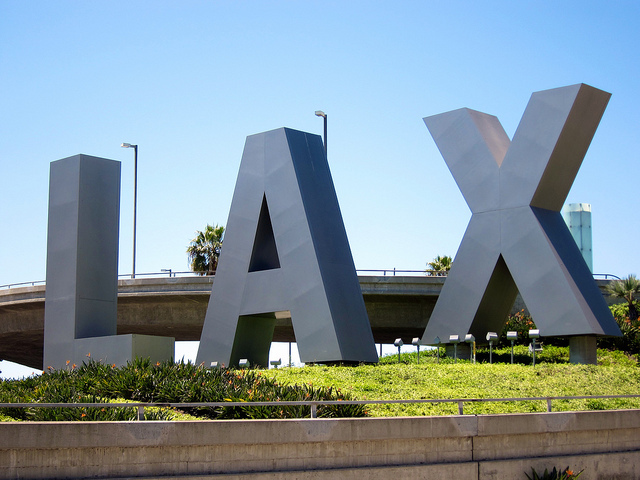 It is widely known that law enforcement agencies are turning to social networks to monitor citizens but one UK Twitter user saw a joke tweet land him in hot water, as he was detained by Homeland Security in Los Angeles, interrogated and barred from the US, The Sun reveals. 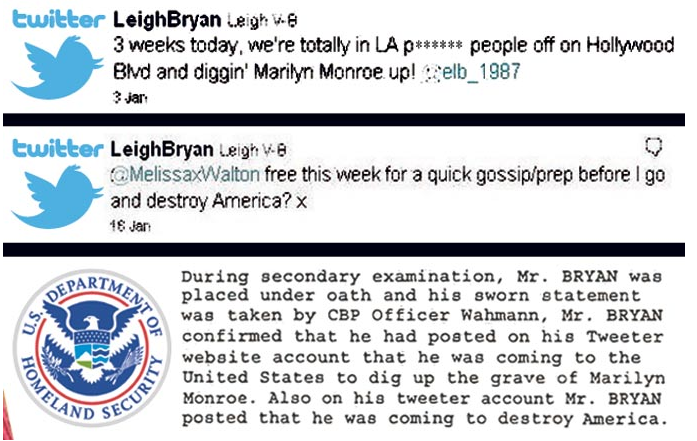 Before Leigh Van Bryan and his friend Emily Bunting embarked on a holiday to Los Angeles, Van Bryan tweeted that he was going to “destroy America,” boasting that he would try “digging up Marilyn Monroe” during his trip across the pond. If someone tweets they would “destroy America,” you would expect it to alert law-enforcement agencies. However, in the UK, “destroying” can also be used as a term for partying or having a good time. Twelve hours later, after being held in separate cells (Van Bryan shared his cell with Mexican drug dealers), the pair were released and put on a plane home. Taking the tweets literally, the second of which was a quote from Family Guy, Homeland Security officials searched the duo’s cases for spades, just in case they had packed them to dig up Monroe’s grave. Twitter users have increasingly been forced to accept the consequences of their tweets, with one high-profile case in the UK reaching newspaper frontpages. In 2010, Paul Chambers, captured his frustration in a tweet after he learned that bad weather may halt his plan to fly. Someone took this “threat” seriously enough to inform the police and Chambers soon found himself arrested on terrorism charges, then charged. Finally at his trial he was found guilty of “Sending by a public communications network a message that was grossly offensive or of an indecent, obscene or menacing character” and fined £1000. Since then he’s lost his job twice as a result of the case. Chambers appealed the case but the judge upheld the original decision, meaning Chambers’ fine and criminal record remained in place. Following this, floods of Twitter users showed their support with #twitterjoketrial tweets, including Stephen Fry who offered to pay the fine. Van Bryan has since switched his profile to private, perhaps learning of what can happen when you threaten to do funny things inside a tweet that can be seen by Twitter’s 200 million+ users (and law enforcement agencies). Read the latest Twitter news at TNW Twitter. Read next: New partnerships could see Apple sell 40m iPhones in China this year, says report.